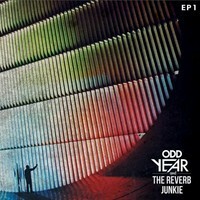 At last, my collaboration with The Reverb Junkie, EP1, is out today! Â Â Â It’s been over a year in the making, but you finally get to hear the finished product today. Â The first time I heard The Reverb Junkie’s vocals was on a track submission for a contest over at indabamusicÂ and thought to myself that her voice would be an excellent match for my instrumentals. Â So shortly after hearing her voice, I sent her an email and was pleasantlyÂ surprised that she was willing to take a few tracks of mine out for a spin. Â What she then emailed back to me where these wonderful pieces of art that are now part of EP1. Â So please listen, enjoy and share if deemed worthy.